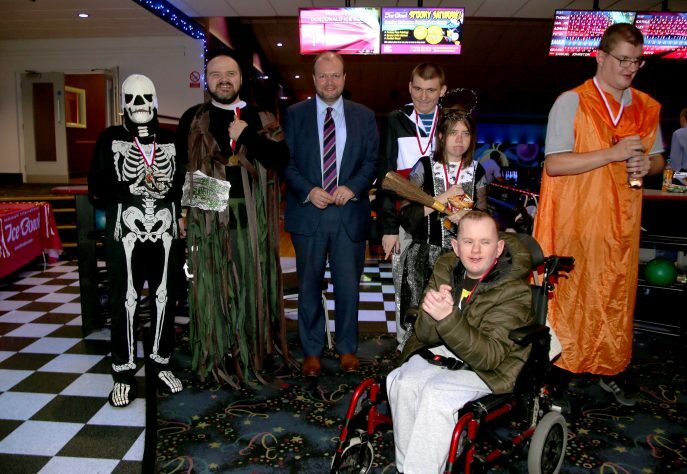 Adult disability and special needs organisations and community groups enjoyed some ghoulish fun at Dundonald International Ice Bowl recently when they competed in a spooktacular tenpin bowling competition. 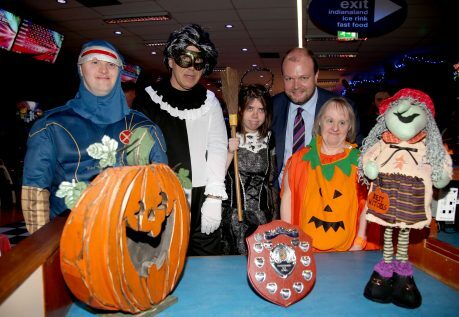 Over 150 enthusiastic adults dressed up as witches, wizards, superheroes and ghosts to take part in the Halloween themed competition featuring haunting music, spooky lights and prizes for the best dressed. The competition was enthusiastically played by all participants with Ravara Training & Resource Centre scoring the highest number of points and securing the 1st place award for the Highest Scoring Team with Edgecumbe Training & Resource Centre taking home the prize of Highest Scoring Male and Suffolk Scorers the prize for Highest Scoring Female. With so many wonderful fancy dress costumes, judges had a hard time picking just one male and female best dressed winner so ultimately decided on two winners for each category. Action Mental Health and Community Day Services West were both awarded prizes for their magical pumpkin and wonderful witch in the female category while the male prize winners were Everton’s mischievous Mad Hatter and Praxis Care’s masked lizard. Speaking at the event, Lisburn & Castlereagh City Council’s Vice Chairman of the Leisure & Community Development Committee, Councillor John Gallen said, “This fabulous event has been running for over twenty years and once again Dundonald International Ice Bowl has pulled out all the stops to deliver another fantastic competition, with it growing year-on-year in participants. 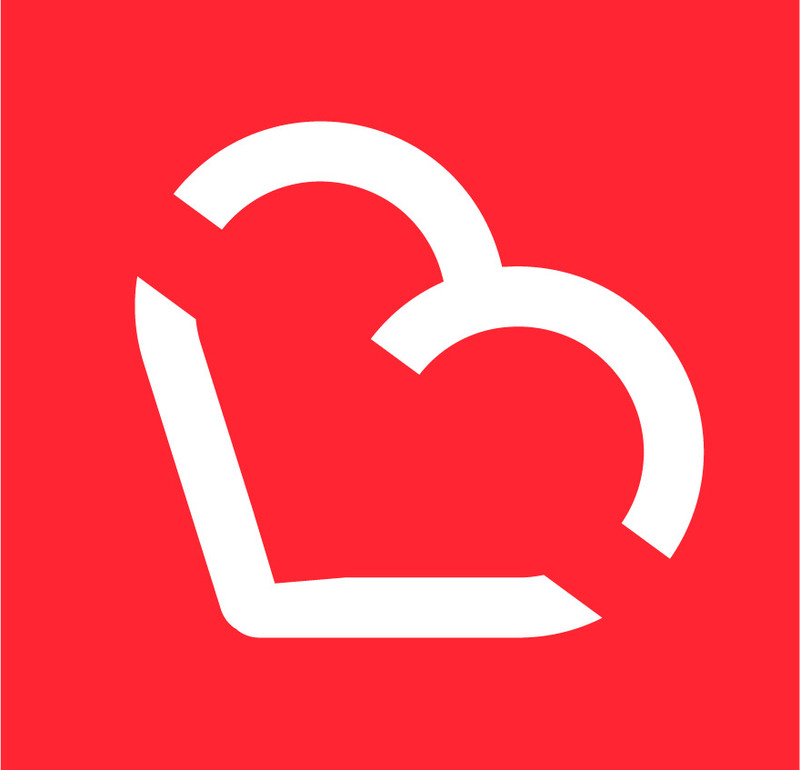 “The event itself is a great occasion to bring together different organisations and community groups for a fun, sociable activity that everyone taking part can enjoy regardless of their disability. I am thrilled to see so many individuals representing the Halloween theme and dressing up for the event – everyone looks great! “I would like to take this opportunity to thank the staff at Dundonald International Ice Bowl for hosting a spectacular event as well as the staff from the various organisations and groups for supporting the competition each year – many of which I know bowl here on a regular basis. “I would also like to thank Hunky Dory’s for providing snacks for the competition and look forward to welcoming all the organisations back to the facility very soon,” concluded Councillor Gallen. 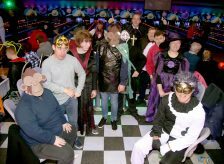 For further details on forthcoming bowling or Disability and Special Needs School events, contact the Sales and Bookings Team at Dundonald International Ice Bowl on 028 9080 9123/129. Belfast to host Northern Ireland’s first Horror Con this Halloween.